Okay. So I get it. 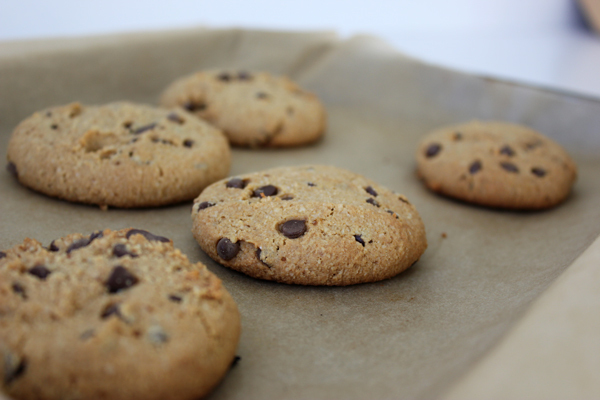 There is no such thing as a Paleo cookie because, by definition, a cookie is not Paleo. Yes, I am aware. But when you’re eating 100% grain free, sometimes you need a freaking cookie. 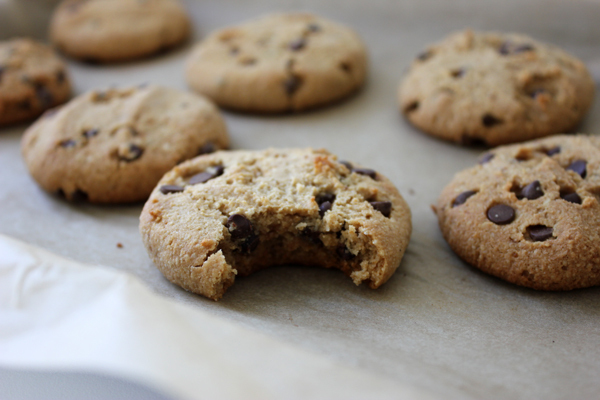 Enter the paleo chocolate chip cookie. Heaven sent an angel to us all named Danielle. If you don’t read her blog, you freaking should. You might also learn something. Plus, her recipes are insane and I’m like one degree away from knowing her IRL, so I’ve got that going for me. Even my non-Paleo boyfriend eats these. They are legit. And no, they don’t taste like nuts and aren’t hard as rocks. They are deeeeeeelightful. You can make these tonight. And you should. They’re like sort of healthy which makes them a vegetable. In a food processor, cream the butter, coconut sugar, honey, egg, and vanilla for about 15 seconds until smooth and fluffy. Place tablespoon sized balls of dough on a cookie sheet lined with parchment. Using another sheet of parchment on top of the dough, flatten them slightly with the palm or your hand or a spatula. The cookies don’t spread much so create the size and thickness you want prior to baking them. I bet Craiger would like this. I’m going to try and see if he can tell they’re paleo.